Residents in the Town of Union are voicing concern over the possibility of a cell tower going up in their neighborhood. 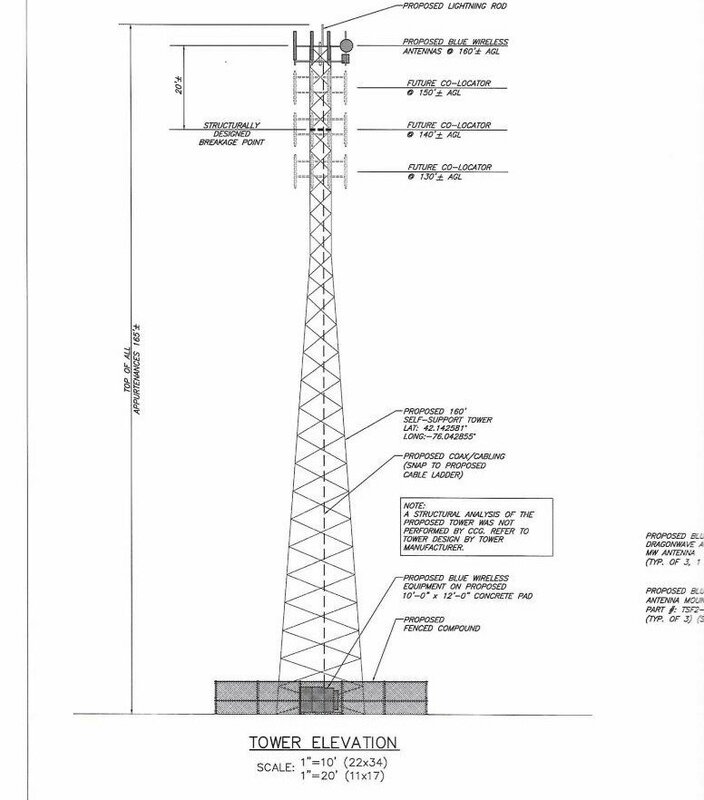 Homeowners on O’Day Drive and Taft Avenue in the Town of Union said they found out last fall that Up State Tower was looking to build a 160-foot cell tower in their backyards. Lori Maron owns the home next to the desired plot, and said she found out from a small sign that was posted by the company near the side of the road. Others found out from a letter sent from the zoning board. The 50-foot fenced compound would be occupied by Blue Wireless, allowing them to expand their service to more residents in Broome County. But the homeowners in the neighborhood are concerned about what it means for their properties. Andrew De Nardis, a resident of O’Day Drive, said the property is owned by the Union Center Fire Department, who is leasing the land to Blue Wireless. He said many residents attended a public hearing back in September to voice their concerns and to say they were disappointed with the fire department for not coming to them first. 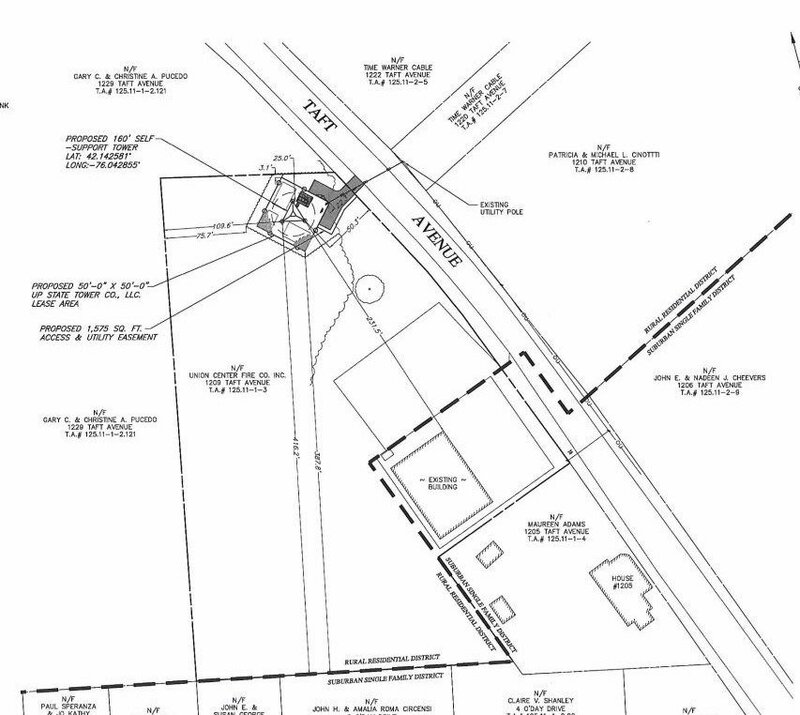 The zoning board took the side of the neighborhood, denying the company’s zoning variance. Up State Tower then took the Town to court. De Nardis said there was a negotiated settlement, and a judge ordered the zoning board to grant the variance and the planning board to approve the permit. In turn, the Town wouldn't have to pay legal fees for Blue Wireless. A disappointing end for the residents who say they trusted the Town to keep their best interests in mind. The homeowners say they plan to fight the construction of the tower until building begins. Fox 40 asked Town of Union Supervisor Rose Sotak to comment on the lawsuit, but she declined.